Save $20 off any two night or longer stay in a cabin or campsite at Fox Hill RV Park & Campground (http://foxhillrvpark.com) and save 20% off the published rates for Fairfield Hills Golf Course located next door. Offer not valid for on-line bookings. Golf cart purchase required. Please call Fox Hill at 1-888-236-9445 to take advantage of this special. Offer must be mentioned at time of booking your reservation. Fox Hill camping season 4/26/19 - 10/14/19. 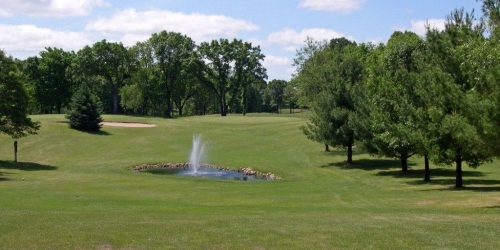 When calling 1-888-236-9445, please mention you saw this golf package on GolfWisconsin.com and mention promo code: golfwi. Fairfield Hills Golf Course & Range reserves the right to change price and offer at anytime. Prices and offer are subject to change without notice. GolfWisconsin.com is not responsible for errors posted in this golf package.